The government has removed the Goods and Services Tax (GST) on sal leaves, siali leaves and their products, Sabai Rope and phool bhari jhadoo. The GST rate on these products has been brought down from 5 per cent to nil. The rates were revised in the GST Council in its 28th meeting held under the Chairmanship Piyush Goyal on July 21. Sal leaf, a minor forest produce (MFP) that forest-dwelling communities can collect and trade, had initially been taxed 18 per cent. This rate was brought down to 5 per cent in September last year. 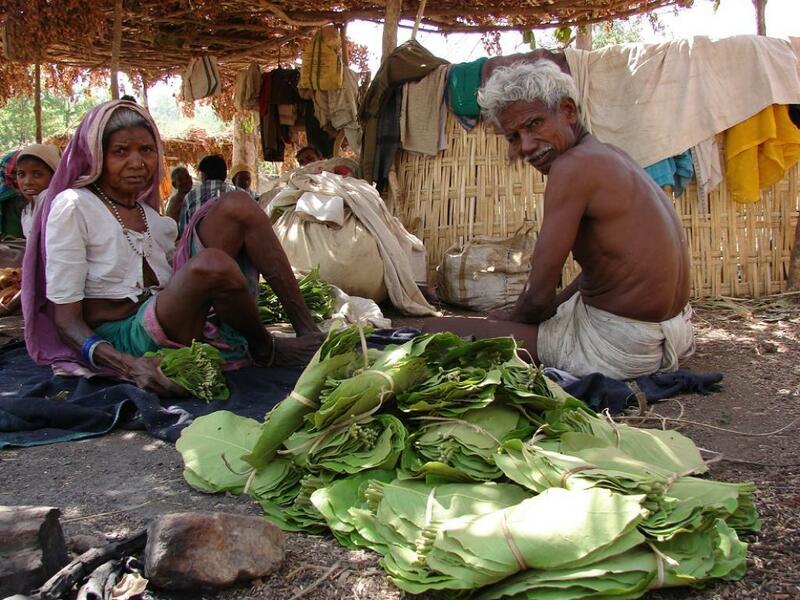 Tribal communities in Odisha and other states, whose sustenance depends on collection of Sal leaf and making plates out of them, were being directly impacted by the GST. The Tribal Cooperative Marketing Development Federation of India Limited puts the figure at an estimated Rs. 100 crore. According to experts working on the issue, around 1.5 million people depend on collection of sal leaves for sustenance. On August 21 last year, Odisha’s finance minister Shashi Bhusan Behera had written to the Union Minister of Finance, Arun Jaitley, urging him to exempt Sal leaf and its products from the GST. Welcoming the move, Chitta Ranjan Pani, an Odihsa-based tribal rights activist told Down To Earth, "We also demand a complete exemption of MFPs including tendu leaves, bamboo from the purview of GST to encourage community-based enterprises as income from MFPs will ensure sustainable forest management and also help combat deforestation and climate change."